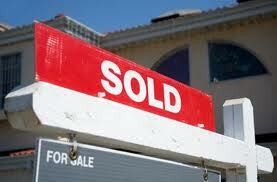 Selling your home in Mason City is easy and profitable with American Realty. Pricing your Mason City Home correctly can be the difference between maximizing your return on investment or waiting months (even years!) to sell your property. Gone are the days when you could list your Mason City house and sellers would scramble to make an offer. Overpriced homes typically stay on the market a long time and end up selling for less than the house priced at or below its value. How do I determine the value of my house? American Realty will conduct a thorough market analysis. Then we'll discuss current comparable properties, trends in the current market and what you might reasonably expect. Contact American Realty for a Free Home Valuation by an Agent for more information. Go here to use our Home Valuation Approximator. What are the major things I need to take care of before putting my home on the market? Purge all "clutter". What seems nice to you may make your home appear small to a potential Seller. If you have any questions about selling your home or property in Mason City, Iowa, contact us at (641) 424-6705 or by using our convenient contact form.